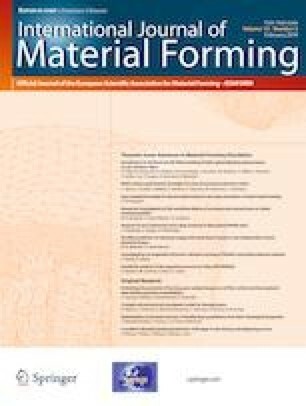 This paper proposes a heuristic and genetic approach for cutting sheet metal parts that identify effective locations for micro-joints, thereby generating an optimized tool path. In the current industrial practice of Laser, Plasma and Abrasive Water Jet (AWJ) processes, one or more micro-joints (also known as a stitch) are used to link the cut parts with the sheet. These micro-joints are randomly given along the part geometries by the shop floor engineer. The number of micro-joints is directly proportional to that of the piercing points, which highly influences the tool travel path and the process time. This ongoing research effectively locates three micro-joints in a specific orientation by considering the centroid point of the part geometry. This approach eliminates the excessive micro-joints in a parts layout. Considering the contour of the parts as segments, each one of them is cut by the tool with a piercing (lead in / entry) point just away from the micro-joint. The varied orientation of micro-joints generates different tool path to cut all the segments in the layout in a specific sequence which is represented by a genetic string. The genetic algorithm is customized in such a way that it suits the proposed approach. And such a genetic algorithmic process finds the near optimal string with an objective to reduce the tool travel distance. The effectiveness of the proposed approach is demonstrated with the randomly generated parts layout. The results show a significant improvement in the tool path.